Hiya guys. How's it going today? I cannot believe I made it in time to post this weeks prompt for the Nail Crazies Unite group. Last night, I decided to take a nap and I may or may not have slept till almost midnight. Spoiler alert... I did. That meant I had maybe an hour to get a mani together before taking care of the puppy and going back to bed. As I've always said, I work well under pressure (or at least that's what I like to think haha) and have come up with snazzy manis in the past just in the nick of time. The prompt for this week is one I picked out myself and it's 'Candy'. So here's the wacky-looking gumballs I came up with! What do you think? I'll admit I just about labeled this mani a 'nail fail' and didn't post about it. After it was all done and sealed with glossy goodness, I instantly changed my mind about the whole thing. I think this is the first time I've done such a colorful mani! I felt terrible last week not being able to come up with something for the 'love song' prompt. Believe me, I tried. Everything I attempted came out looking terrible and I did not have the will to post it. Of course, that meant I was going to go all out for this prompt. Unfortunately, I got stuck for ideas again. Thankfully my nail bestie helped me out and gave me a 'skittle' mani idea. After showing my hubs, he called them 'gumballs' and I realized they definitely looked way more like that than skittles. Haha. 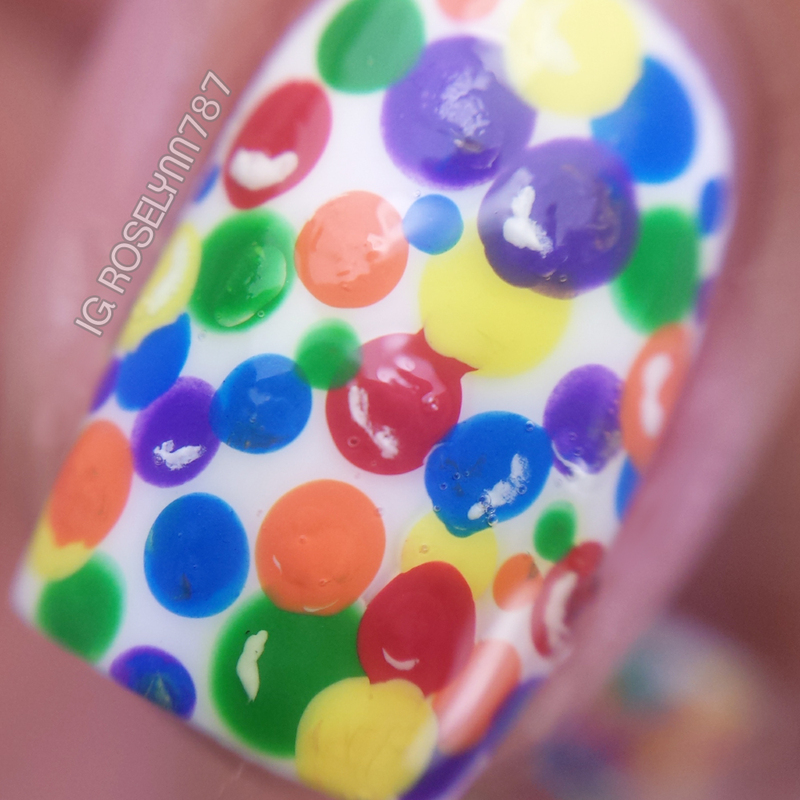 The best part about this mani is how easy it was to accomplish - all you need is a dotting tool! As always, don't forget to check out the other ladies participating in the challenge prompt this week. And if you're looking for a new challenge group to join make sure you find us on Facebook under Nail Crazies Unite. OMG I LOVE it. I think that is such a cute idea and I might see if the girl who does my nails can do this on mine sometime soon! I really like that you didn't do the arc of shine on all the dots - it gives the pattern much more depth. These are so festive and fun! They would be perfect for a birthday party! My daughter is screaming about how much she loves this design right now. She says it reminds her of sprinkles. Wow, This is so cute! Would definitely want this done to my nails.I like this kind of designs. OMG. I love those! They looks so beautiful. What a great idea. I definitely want to try that out soon. So freaking adorable! I love the "shine" on some of them! Perfection! whaaaaaat! SO not a fail! How fun is that?! I love it! Sadly I've never paid much attention to my nails and now I think I'm getting to old to be that playful, but I can start on my daughter! These nails designs look so cute and really fun; I'd love to have something like this done! These are adorable! My daughter has a new job where she can't have her nails done anymore, she would be so jealous! These are so cute! You are so crafty, I wish I could do something like this! I love love love this! I love how you posted a tutorial to go along with it as well. Wow this is so awesome! I wouldn't mind experimenting with this. I love nail art. That looks really cute, love it. The amount of time people spend on their nails amazes me, haha. Mine always chip within 2 days of painting, so I just never bother for anything THIS fancy. It is cute though! I love the colourful look! They really look like gummies! Omg those are some crazy cool nails!!! Absolutely love them!! That is a really fun idea. This even looks like it would be cute for Easter with the colors and all. That is some really cute nail art. I bet my teen would like it too. These are so cute! Very fun design! I love the way these turned out and I think the look would be cute on my daughter's nails! Thanks for sharing what you used! I really need to pick up a dotting tools, would they have these at a beauty supply store? This is a great idea! Would love to try it on my daughters nails. She loves a lot of color and we have done polka dots before, but never multiple colors. Love love love! Those nails are amazing! I love the gumball design, too cute! It's great because it's a nice pop of color in this dreary, cold weather. Wow, so very cute. Love the colors. Thank you for sharing. I LOVE this, this is so incredibly happy!!! I love this!! 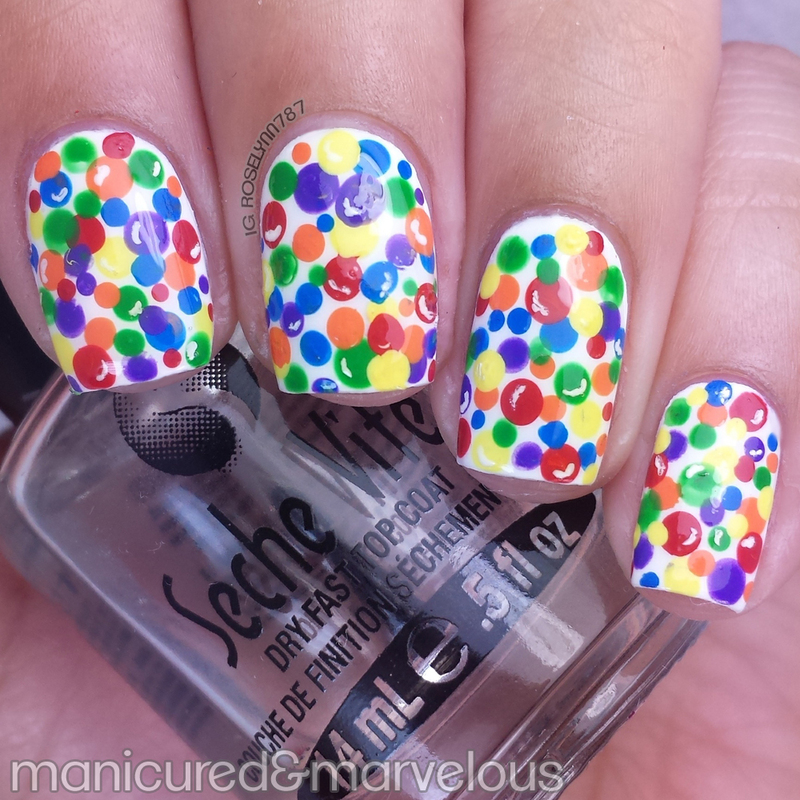 The dots remind me of balloons! These are so much fun!! I love it! I have really got to stop biting my nails lol. I've always wanted to have my nails look pretty like that. This is awesome. Very cool! I can not believe how creative you are with your nail art. 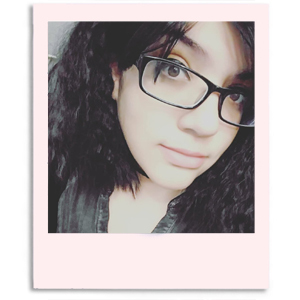 I love all the photos on your blog. It seems like I'm seeing this everywhere now. It's not my kind of thing (I don't wear polish of any kind/color), but I enjoy seeing it on others. I used to get my nails done all the time about 20 years ago. We would experiment with colors and designs. It is so cool to see how mainstream it is now. Love the dots. So cute. These are so fun! 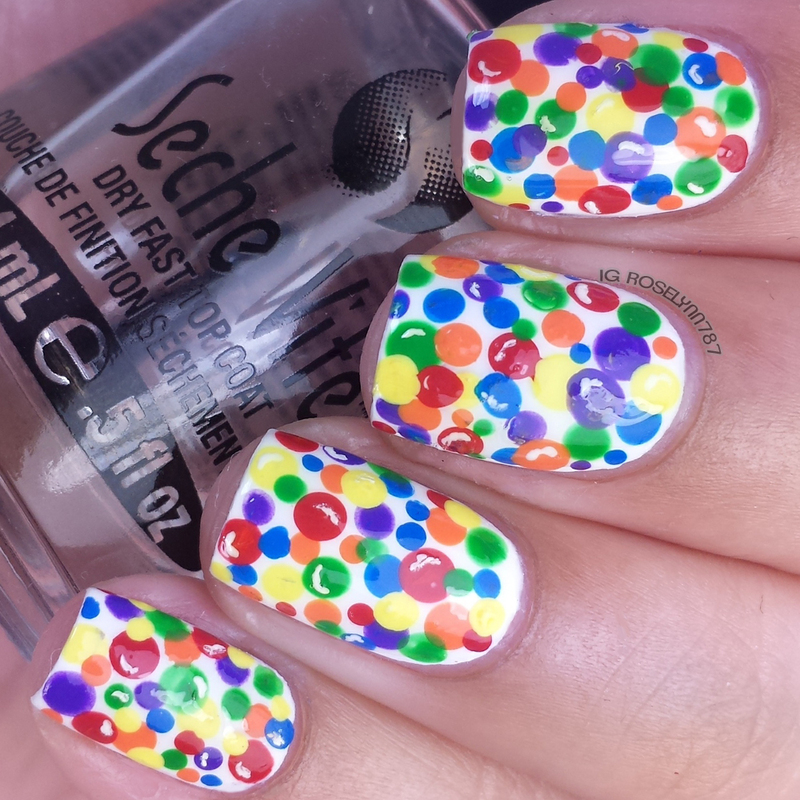 The overlapping dots add dimension and makes them look like neverending gumballs! I would love to wear this because it looks so nice, but I would pick it off to quickly for me to wear it all of the time. I think it is fun to change our nails and dress them up sometimes. Interesting choice indeed. Thanks so much for sharing. I will have to check these out. That is so cute and you make it look like it's so easy to do! I want my nails like this next time.